Texas Center for the Missing > Blog > News > Get Safety Savvy! We are so excited to announce our newest project, the Safety Savvy App, is available for Apple and Android mobile devices! Over the last year we have been working hard to put together an engaging education resource for parents and guardians that will encourage safe behaviors right from the user’s phone. 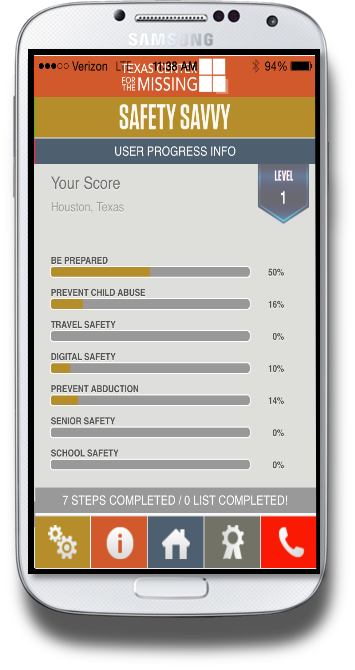 The app walks users through engaging safety checklists – such as Prevent Abduction, School Safety, and Endangered Adult Safety – and provides tangible, real-world steps the user can take to keep their family safe. Users can track their progress through the checklists and learn more about Texas Center for the Missing, all from the app! We also want to ensure that, if an emergency occurs, help will be right at the fingertips of Safety Savvy App users. 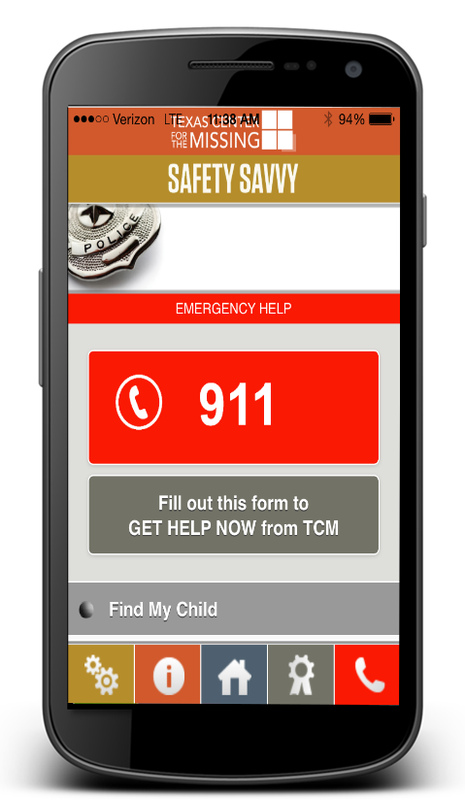 Through the mobile application, a user can easily call 9-1-1, and also notify TCM of a missing persons case. Users can also access helpful emergency resources, like the Find My Child or Find My Missing Adult Checklists. And do you know the best part? We are providing the app free of charge! So hurry and get your free app and start learning how to be Safety Savvy! This Safety Savvy App Project was made possible by generous gifts from Stephanie & Mark Deverka and Kim & Bill Sanchez. 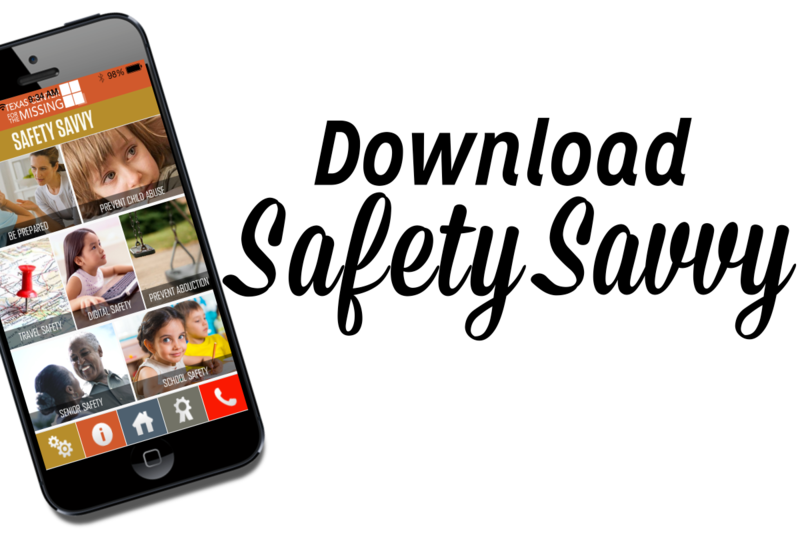 Download the Safety Savvy App! One Response to "Get Safety Savvy!"